Anomalistics is the use of scientific methods to evaluate anomalies (phenomena that fall outside of current understanding), with the aim of finding a rational explanation. The term itself was coined in 1973 by Drew University anthropologist Roger W. Wescott, who defined it as being the "serious and systematic study of all phenomena that fail to fit the picture of reality provided for us by common sense or by the established sciences." 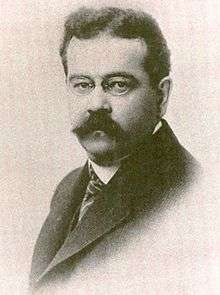 Wescott credited journalist and researcher Charles Fort as being the creator of anomalistics as a field of research, and he named biologist Ivan T. Sanderson and Sourcebook Project compiler William R. Corliss as being instrumental in expanding anomalistics to introduce a more conventional perspective into the field. Henry Bauer, emeritus professor of science studies at Virginia Tech, writes that anomalistics is "a politically correct term for the study of bizarre claims", while David J. Hess of the Department of Science and Technology Studies at the Rensselaer Polytechnic Institute describes it as being "the scientific study of anomalies defined as claims of phenomena not generally accepted by the bulk of the scientific community." Anomalistics covers several sub-disciplines, including ufology, cryptozoology, and parapsychology. Researchers involved in the field have included ufologist J. Allen Hynek and cryptozoologist Bernard Heuvelmans. to act in the role of amicus curiae ("friend of the court") to the scientific community in its process of adjudication. Research must deal exclusively with "empirical claims of the extraordinary", rather than claims of a "metaphysical, theological or supernatural" nature. According to Wescott, anomalistics is also concerned with ostensibly paranormal phenomena, such as apparitions and poltergeists, or "psi" (parapsychology, e.g., ESP, psychokinesis and telepathy). According to Truzzi, before an explanation can be considered valid within anomalistics, it must fulfill four criteria. It must be based on conventional knowledge and reasoning; it must be kept simple and be unburdened by speculation or overcomplexity; the burden of proof must be placed on the claimant and not the researcher; and the more extraordinary the claim, the higher the level of proof required. Bauer states that nothing can be deemed as proof within anomalistics unless it can gain "acceptance by the established disciplines". ↑ Clark, Jerome (May 1993). Encyclopedia of strange and unexplained physical phenomena. Gale Research Inc. p. 7. ISBN 978-0-8103-8843-7. ↑ Clark, Jerome (1998). The UFO book: Encyclopedia of the Extraterrestrial. Detroit, Michigan: Visible Ink Press. ISBN 1-57859-029-9. ↑ Science, 5 November 1999: Vol. 286. no. 5442, p. 1079.